Make no mistake - it has been confirmed that AT&T will slowly disassemble T-Mobile's 4G HSPA+ network over time, converting those HSPA+ bands (the "AWS" spectrum) into LTE frequencies. Consumers without at least a Wikipedia-level of 4G knowledge will likely ask why this is necessary if both carriers already use HSPA+ "4G." When upgrading their networks to HSPA+, both carriers retained these spectrums for the deployment of their "4G." This is because HSPA+ uses the same hardware and networking infrastructure (the UMTS system) as standard HSPA, and only requires software changes and more antennas on existing arrays, while it still transmits a signal which standard HSPA 3G phones can utilize. So, essentially, it's the same network - just beefed up. Both AT&T and T-Mobile's "4G" HSPA+ networks retained the frequencies of the existing 3G networks, and so retain their incompatibility. This means that your Inspire 4G, myTouch 4G, Galaxy S 4G, G2, and Optimus 3D will never experience a unified HSPA+ experience. None have the proper radio equipment to interface with their former competitors' HSPA+ networks (or 3G at all, for that matter). But there is an exception to the rule: the yet-to-be-released LG G2X. This device will be backwards compatible with AT&T's "4G" HSPA+ network. You can also probably expect such compatibility on upcoming T-Mobile "4G" phones this year (at least we hope so), though whether AT&T will do the same is unknown, since there isn't much of a need if they'll just be taking T-Mo's 4G offline anyways. 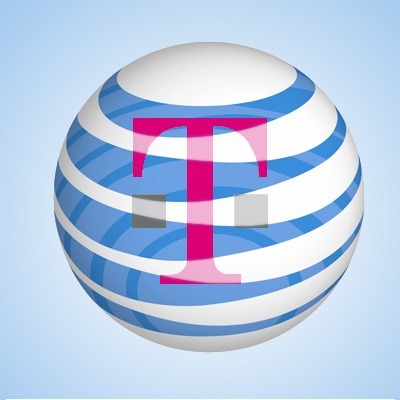 How long it will take AT&T to fully dismantle T-Mobile's 3G/4G network remains a big question, and that depends largely on how quickly AT&T plans to deploy its LTE network starting later this year. When it does happen, T-Mobile's current 3G and 4G handsets will start to lose data coverage. Take this information into consideration when deciding your next T-Mobile Android purchase, it may come into play in a not so great way down the road.